The Nike Odyssey React Women&apos;s Running Shoe provides crazy comfort that lasts as long as you can run. Its Nike React foam cushioning is responsive yet lightweight, durable yet soft. This attraction of opposites creates a sensation that not only enhances the feeling of moving forwards, but makes running feel fun, too. 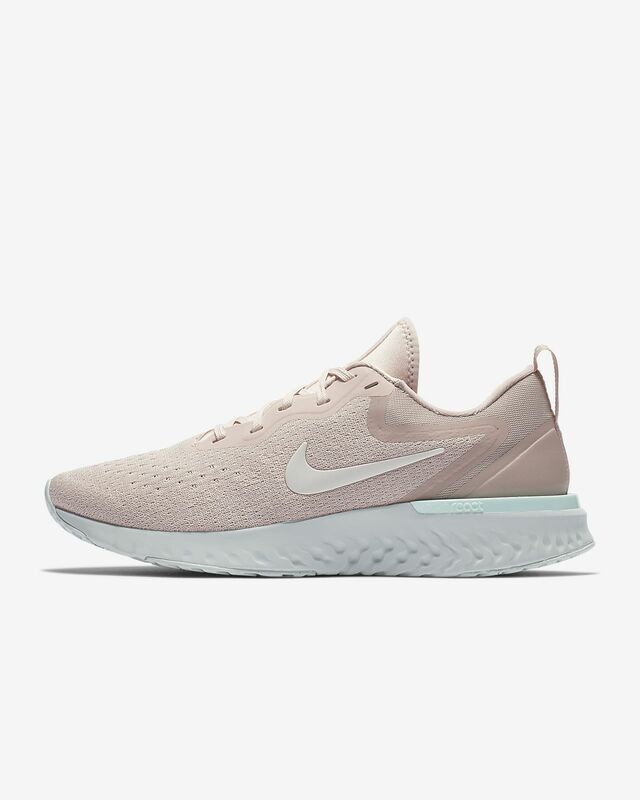 The upper of the Nike Odyssey React is built with a lightweight, breathable fabric instead of the premium Flyknit featured on the Nike Epic React. In late November I ordered a pair of Adidas shoes and they never showed up( said they shipped 3 1/2 weeks after i ordered them). With their refund of my money I decided that I would purchase a pair of nikes. I ordered them on a Tuesday and they showed up on a Friday. I am very impressed with the quality of these shoes, they are very supportive and comfortable. I would recommend these to anyone! I just received these shoes and they are very comfortable but I agree with others who say that if you have a medium or wide foot, you will have to go up an entire size. I usually wear a 10.5 but I order an 11 bec my foot is somewhat wide. I received theese in the 11 and the toes area is great but this shoe does not have as much room as I expected. I plan to keep them because they are comfortable and have very good support but if I order another pair, I may go for the 11.5 but I'm not sure bec. I don't want them to be too big. I had that problem once when I ordered another Nike shoe in wide and it was too wide. I love this purchase, but the only negative thing about this is that it is a little bit too tight. If you have a narrow feet this pair of shoes would be perfect for you, but if you don’t, you might have to think about getting a size bigger.